Creating an eBook—especially for the purpose of generating leads—can be a critical marketing technique for your business. If you're not a designer, this can be a truly daunting task. After all, not only do you have to create the content, you have to design the layout, choose fonts & color schemes, and tweak orientation. Fortunately, it's possible to create a professional and effective eBook, even without expert design skills. This can be done with the help of free eBook templates. Not sure where to begin your search? 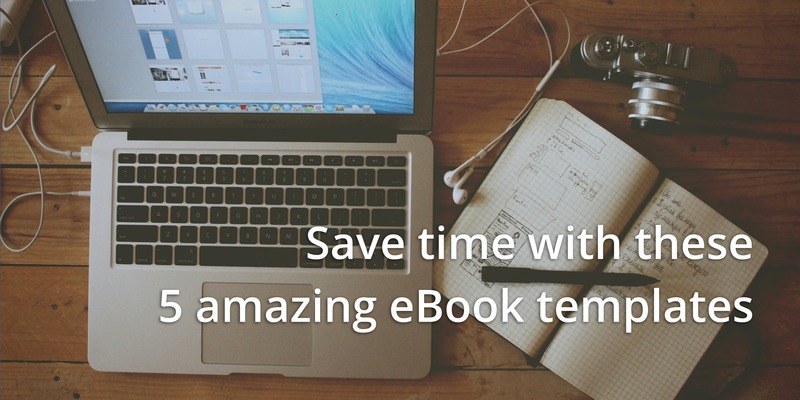 We've compiled five of our finest eBook templates which you can explore below. Would you rather go straight to the source? Head over to our gallery of free eBook templates to see all your options. If you'd like to take a traditional approach, this business eBook template geared toward marketing is your best bet. With a traditional vertical design, and a 10-page pre-made layout, this template can be used to promote your products & services or engage your customers. There's no reason your business eBook needs to be boring. In fact, the inclusion of images on each page makes it easy to spice up the content. You can easily use stock images or upload your own. What more, you can test out different fonts & layouts in the easy-to-use Lucidpress editor. Click on the image to see this template. For creative businesses—including boutiques and salons—it's important to bring a unique touch to each piece of content you create. This extends to eBooks, and it can be easily achieved with the Boutique Lookbook. With a muted color scheme and full-feature image pages, you can use this template to create a lookbook, product catalog or seasonal spread. The vertical design makes it well-suited to any device: smartphones, tablets and e-readers. In addition, the bold black text against the light-colored background makes it easy to read. A grid-based layout is perfect for a variety of industries including architecture, photography and consulting. Even better, this modular layout means you can create a truly unique design. You don't like how the blocks are laid out? No problem—with the Lucidpress editor, you can easily 'snap' each block into a new position. Additionally, the use of elegant font styles, as well as a minimal color scheme, makes this eBook template easy on the eyes. The pops of blue color on each page also add a unique element without cluttering the layout. Even Lucidpress (a company with its very own talented designers) uses templates to create quick & easy eBooks, one-pagers and more. In fact, this is the very template we use on much of our in-house content. The gray & green color scheme can be changed to fit any brand. However, be sure to pick contrasting colors to ensure your content is legible to readers. You can even personalize each page; all contain a header & footer with a placeholder for company name, website and phone number. A horizontally designed template can be love-it or hate-it for many readers. However, this particular template is great for immersive photography or other media-heavy topics. You can create beautiful collages and even split your eBook into different sections. With 20 pre-made pages, you have plenty of space to feature your content. And, with the use of white space, you won't have to worry about cluttering the pages or overstimulating your readers. Using eBooks to promote your business and attract new leads can be incredibly effective. However, the quality of that eBook will play a large role. Fortunately, even non-professionals can create truly stunning designs & layouts. With the help of Lucidpress's design software, you can create beautiful templates that rival even InDesign and Photoshop creations. You can then publish or save your eBook as a webpage, PDF, JPG and more. If you're in need of some more inspiration, be sure to check out more eBook templates & layouts here. Ready to wow your marketing leads with beautifully designed eBooks? Lucidpress will help your brand send the right message. 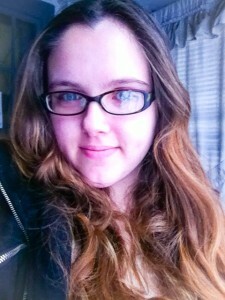 Stephanie Bruce is content writer extraordinaire and lover of all things creative. Connect with her on her website, Stephanie Bruce Writing.